Very cool DJ-Bag from Technics. The Technics bag is available in many fashionable colours and is provided with a stable plastic insert, which gives the bag a consistent shape and good protection. 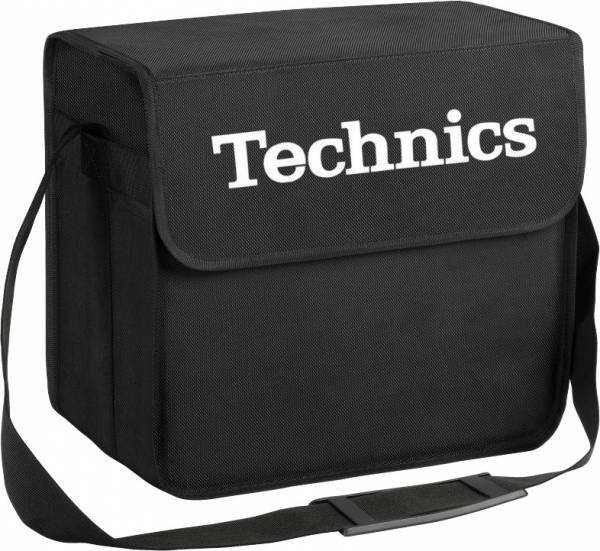 The Technics DJ-Bag is available in many fashionable colours and features an extra large Technics logo on the front. This record bag offers enough space for about 60 vinyls or a lot of equipment and promises a great performance at the next event. A practical shoulder strap ensures a comfortable fit. Customer ratings for "Technics DJ-Bag"
Schöner Print und hochwertiges Material. Genau wonach ich gesucht habe. Perfekt!